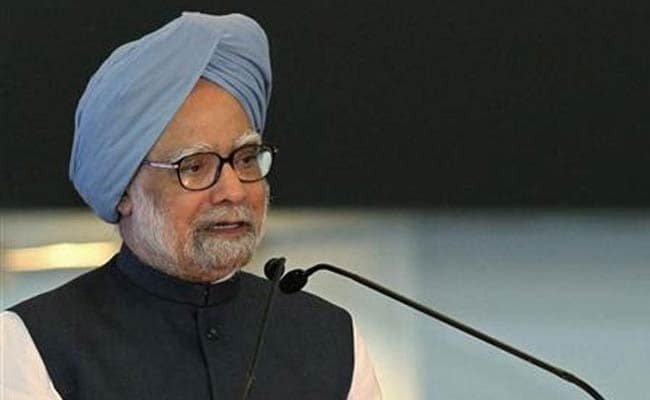 The Congress had fielded Dr Manmohan Singh in PM Narendra Modi's home state Gujarat where the party vice president Raul Gandhi has led a high-pitch campaign against the BJP that has tried to keep the focus sharply on economic and demographic issues. New Delhi: The Gujarat model of the BJP has only benefited the top one per cent of the society, former Prime Minister Dr Manmohan Singh said on Thursday, continuing with the Congress' attack on the BJP's economic policies in the state and the national government, which the party says, had hurt common people and benefited only a miniscule population of the state. "Every community and class, except a few rich businessmen, are raising their voice against the inequality and injustice of the Gujarat model as operationalised by the BJP over the last 22 years," the former Prime Minister said. A respected economist, the former Prime Minister's meetings are an attempt to validate the Congress charge that the BJP's lead campaigner Narendra Modi had slipped up. "22 years is a long time, and now the results are there for all of us to see. The Gujarat model of the BJP has only benefited the top one per cent of the society," Dr Manmohan Singh told reporters in Rajkot. Rather than moving forward, he said, Gujarat had "regressed in the last 22 years" that the BJP has been in power. "On every social indicator, it has fallen behind states including Himachal Pradesh, Karnataka, Kerala and Tamil Nadu," he said. Dr Singh also attacked PM Narendra Modi over demonetisation and GST rollout, saying he had betrayed the trust that the people of Gujarat had reposed in him. He demanded that the Centre release all documents and files relating to notes ban. "We must demand that the government release all the relevant documents and files related to demonetisation in the public domain and Parliament for scrutiny. We must avoid the repetition of such blunders in the future. India cannot afford such mistakes," he said. He also took a jibe at the BJP's promise of "achhe din", or good times, was "nowhere to be seen". The promise of acche din was a top keyword in BJP's campaign for the 2014 national election. But the phrase has since been mocked by opposition parties to target the government on what they call unfulfilled promises. Last year, Union Minister Nitin Gadkari had conceded that the slogan was like "a bone stuck in our throat" and revealed that the term was first used by Dr Manmohan Singh.